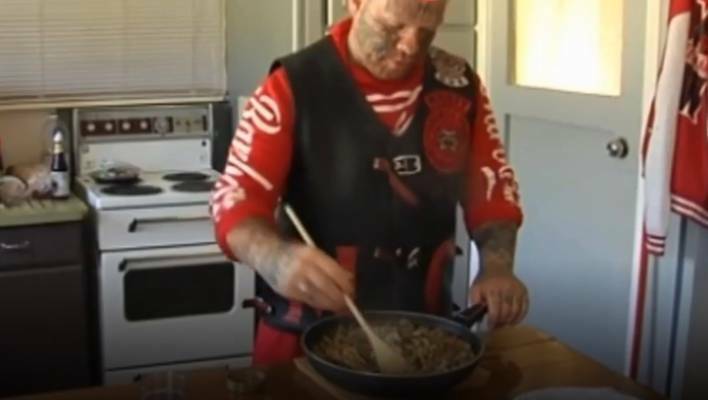 A Mongrel Mob gang member is using social media to advocate healthy eating. Putahi Kani’s Facebook group called ‘Heils Kitchen’, is about “Promoting healthy kai and cooking in the household”. Kani started the group in July last year, and it already has more than 60,000 members watching his Facebook Live cooking videos. A Mongrel Mob member is promoting healthy eating on a popular Facebook group. He wants to eat healthy and live longer “so that we can be around for the tamarikis”, he told 1News. He also shares an anti-drug message via social media.